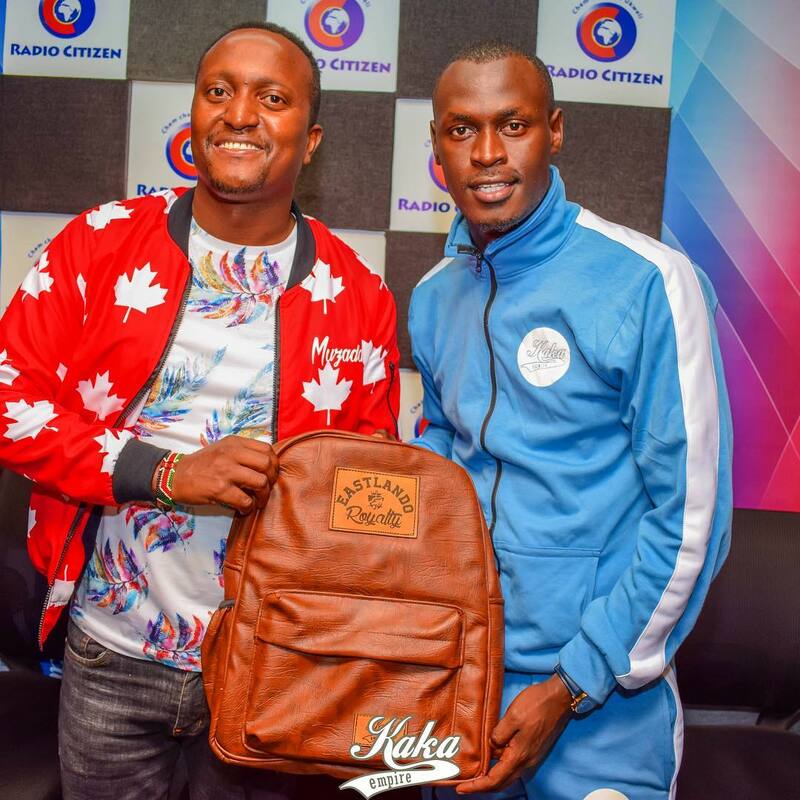 Citizen Radio host Willy M Tuva was recently forced to shoot down a fan’s allegation on social media that his show has become boring. 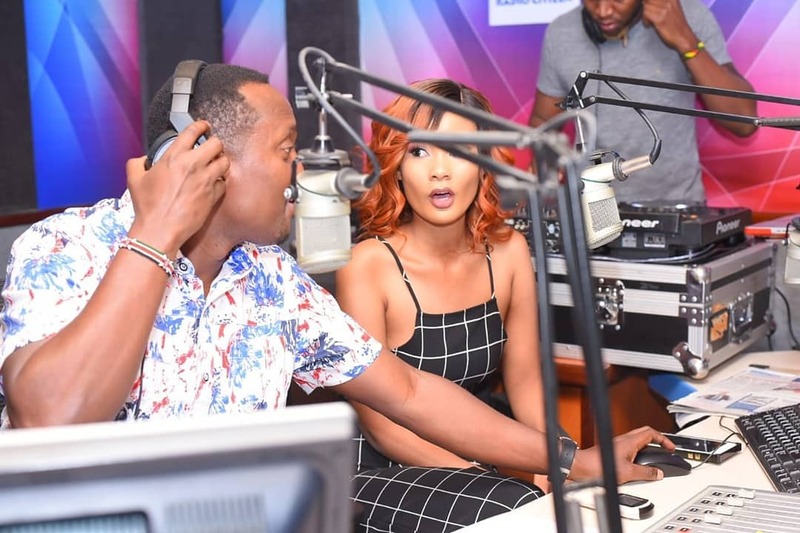 A fan accused Willy M Tuva of taking controversial sides on his show Mambo Mseto and has been adding more fuel to the ongoing artists’ beefs in the local industry. The fan said that Tuva should focus on playing music and supporting artists rather than banging their heads. 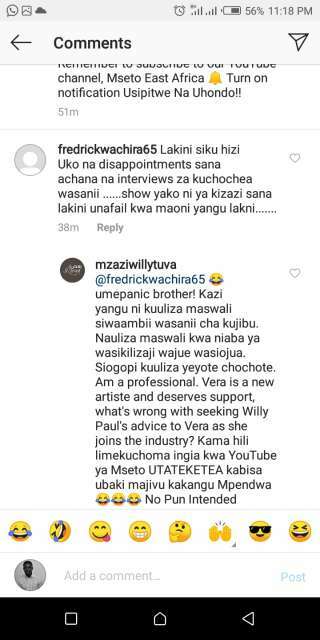 These is after the popular radio host asked Willy Paul what he thinks about Vera’s new jam which has pulled in a lot of views. “Fredrickwachira65 Lakini siku hizi uko na disappointments sana achana na interview za kuchochea wasanii… show yako ni ya kizazi sana Lakini unafail kwa maoni yangu Lakini,” wrote the fan. “Mzaziwillytuva @fredrickwachira umepanic brother1 Kazi yangu ni kuuliza maswali siwaambii wasanii cha kujibu. Nauliza maswali kwa niaba ya wasikilizaji wajue wasiojua. Siogopi kuuliza yeyote chochote. Am a professional. Vera is a new artiste and deserves support, what’s wrong with seeking Willy Paul’s advice to Vera as she joins the industry? Kama hili limekuchoma ingia kwa YouTube ya Mseto Utateketea Kabisa ubaki majivu kakangu mpendwa. No pun intended,” wrote Mzazi Willy M. Tuva.